Historic Preservation Awards: See It, Save It, Celebrate It. 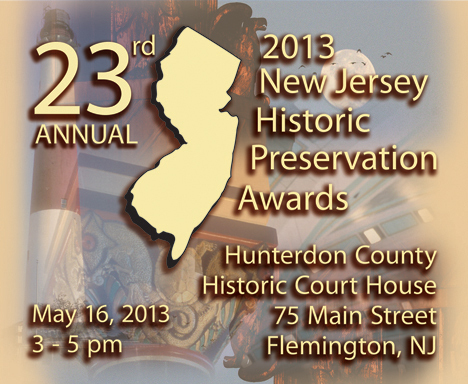 The New Jersey Department of Environmental Protection (DEP), Historic Preservation Office and NJ Historic Sites Council are pleased to announce the 23rd Annual Historic Preservation Awards. National Preservation Month happens every May. Throughout New Jersey, in all of our communities, there are important places that celebrate our history. These places are varied, such as schools, churches, battlefields, homes, or farms, but they all tell the story of New Jersey. Join us on May 16 to celebrate New Jersey's treasures by recognizing the efforts of inidviduals, organizations and government agencies to preserve New Jersey's valuable resources. In celebration of Historic Preservation Month, the 2013 Awards Ceremony was held on May 16, 2013 at 3PM at the Hunterdon County Historic Court House in Flemington, New Jersey. 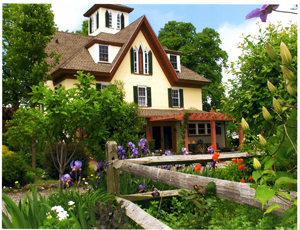 In 2000, the New Jersey Division of Parks and Forestry acquired the property now known as the Van Nest-Hoff-Vannatta Farmstead. 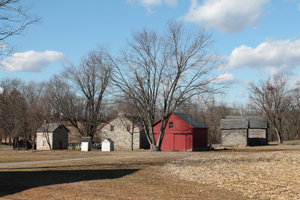 Its acquisition was part of an initiative to expand a corridor managed by Spruce Run Recreation Area, but the site quickly became the subject of a remarkable effort initiated by Harmony Township to preserve the historic farmstead. The property includes approximately 100 acres of active farmland as well as a seven acre parcel containing an incredible grouping of 18th and 19th century structures. Realizing the significant value of the historic resource, Harmony Township, through the Harmony Township Historic Preservation Commission, immediately took an active role in the stewardship of the site. The HPC established relationships with professionals to guide the preservation effort and actively began developing strong partnerships to ensure its future. In addition to the key partners, the Farmstead has received support from the general public, corporations and non-profit organizations. The preservation effort is exemplary not only because of the success of the capital projects but also because of the incredible partnerships. When Absecon resident, Robert McMullin died in 2000, he had already ensured that his ancestral home would be preserved for future generations by donating it to the National Trust for Historic Preservation through their Gifts of Heritage Program, retaining its historic setting and buildings in perpetuity. The oldest part of the house had been built about 1770, and became his family’s homestead by 1811. In 1863, John Doughty purchased the house and land from his father and then enlarged and remodeled it to its present footprint and Gothic Revival style. The present owners purchased the house from the state, agreeing to abide by the protective easements placed on the property, and to properly restore the building according to the Secretary of the Interior’s Standards for Rehabilitation and Restoration. The project, which took 10 years to complete, included restoration of the house, the ca. 1840 barn, corn crib, root cellar, early 20th century playhouse, two chicken coops, and the dog house, at a total project cost of $500,000. The property on which Greenwood Gardens is located was first developed as a private estate in 1906 by Joseph P. Day, a leading New York City real estate auctioneer, and his wife Pauline Martindale Pope. The estate featured a 28-room Italianate mansion and gardens that reflected Arts and Crafts details and rustic paths and stonework, designed by William Whetten Renwick. Following the death of Peter P. Blanchard Jr. in 2000, his wish for the long-term preservation of the property was honored by his son. With the help of the Garden Conservancy, community activists, and supporters, a non-profit organization was formed to own, restore, and manage Greenwood Gardens. In 2005, with the help of a New Jersey Historic Trust grant, Greenwood Gardens completed a Conditions Assessment – the first step in the preservation and restoration of the garden. The report made prioritized recommendations for the stabilization, restoration and rehabilitation of Greenwood’s historic resources, which were incorporated into the Phase I Restoration and Rehabilitation Project, which was completed in 2011 after 2.5 years of construction at a cost of $5 Million. It is difficult to realize the tremendous effort that has gone into converting these gardens from a private home to a welcoming place for members of the public. The original construction of the house in 1869 was of a simple, square three-story plan with a mansard roof and a small two-story wing. In 1887, William H. Miller, a well-known architect, radically redesigned and enlarged the house to create Iviswold Castle for David B. Ivison, a successful New York publisher who made it his country estate. 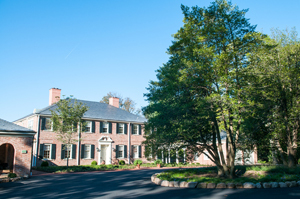 The estate changed hands several times, until it was purchased by Fairleigh Dickinson University in 1942, and radically altered to accommodate classrooms and a library, concealing many of the original finishes. Felician College purchased the castle in 1997 and in 1999 began the effort to rehabilitate Iviswold Castle and restore some of its forgotten character. The study of the building’s history was funded in large part by a planning grant from New Jersey Historic Trust. To everyone’s surprise, there was much left of the original Castle, including decorative painted ceilings, plaster cornices, walnut paneling, and most of the wood floors. 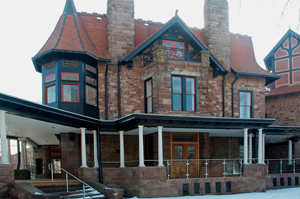 In 2004 the exterior restoration began with crucial help from a $750,000 grant from New Jersey Historic Trust as well as several grants from the Bergen County Historic Preservation Grant Program. In 2007 the planning for the interior restoration began with an additional $750,000 grant from New Jersey Historic Trust and involved the adaptive use of the interior for the college’s purpose. The Castle restoration, which took almost 14 years, is a magnificent example of how an existing building can be successfully adapted for new uses. The rehabilitation of the historic ice pond dams at the Princeton Ice Company Historic District at Mountain Lakes Preserve in Princeton represents extraordinary municipal stewardship of an extraordinary site. The stewardship involved the careful balancing of a complicated mix of historic preservation, conservation, dam safety, environmental and engineering requirements, and the challenging coordination of the oversight of multiple municipal, county and state agencies. Princeton Township acquired the 80-acre property in 1987 with the support of a Green Acres grant and private funding from the Friends of Princeton Open Space (FOPOS) and other private sources. The Nature Conservancy acquired an easement on the Mountain Lakes Preserve to protect the lake and the surrounding woods in perpetuity from development, and FOPOS took over the easement around 2007. Over the decades much of the lake had silted in and the dams and other original features had deteriorated to the extent that both dams were in danger of failure. 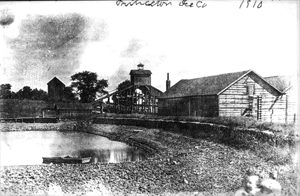 The rural industrial history and the artifacts and features of Mountain Lakes Preserve are highly unusual in the State of New Jersey, and they could have easily been lost. Instead, Princeton Township took extraordinary measures to preserve and interpret them while upgrading the dam to meet Dam Safety requirements. The result is an exceptional historic site that preserves and interprets a unique rural industrial landscape for the many visitors to Mountain Lakes Preserve. An interactive multimedia web site hosted by U.S. Army Garrison Picatinny Arsenal (USAG Picatinny) was created in advance of the demolition of over 30 structures within 5 Historic Districts at the installation. Through innovative design, the project team – consisting of historians, cultural resource specialists, and a graphic designer – produced a customized web site that serves as a model for cataloging, recording, and telling the stories of historic buildings on a government installation. It provides a means to digitally inventory all structures in the districts, fully document those slated for demolition, and present rich interpretive context. The web site is a model for efficient recordation and public interpretation as we enter a period when many government facilities will be seeking to dispose of excess building inventory, including, as at Picatinny, one-of-a-kind structures and complexes of large-scale equipment. Where bricks-and-mortar preservation is not a viable option, the web site preserves for posterity both images of structures from their heyday and building “biographies” that trace their evolution over time. The web site is an excellent public outreach vehicle, presenting research in an accessible and visually rich manner, drawing on a wide range of sources and images to make Picatinny’s history come alive. This internet catalog of contextual information and the inventories and maps within it can be easily utilized by individuals and consultant firms involved in future decision-making on infrastructure within the installation’s historic districts. 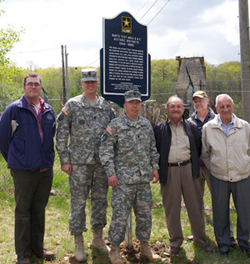 Most importantly, the web site gives back to the public by making the rich history of Picatinny Arsenal more accessible to all. Thousands of commuters driving along River Road in Piscataway every day are likely unaware they are following the route of countless horse-drawn wagon loads of grain, lumber, meat, and other products of two and three hundred years ago. Little visible evidence suggests that the area around the intersection of River Road and NJ Route 18 was once a thriving community and a center of trade, consisting of multi-storied warehouses, mills, stores, a tavern, bake house, blacksmith and cooper’s shops, as well as numerous houses and barns, known as Raritan Landing. All of this has been hidden from view and forgotten beneath the lawns of Johnson Park for more than one hundred years. In the year 2000, the New Jersey Department of Transportation began what is perhaps the largest historical archaeological data recovery project at this site ever to be conducted in the state. Part of this project involved a multi-faceted public outreach plan to inform the public about the important archaeological discoveries being made and their place within a broader context. Tours were scheduled for both school groups and the general public, a website was set up explaining the history of the site and the archaeological project, and a weekly update of the excavations was posted. Following the analysis of the data, school lesson plans were written, a video was produced, a museum display was planned, and a book was published. The public outreach component of this project employed a variety of formats which allowed the general public to experience the archaeology firsthand, as it was being conducted, and subsequently, to view the project results through both printed and electronic media, as well as exhibits in a nearby museum. 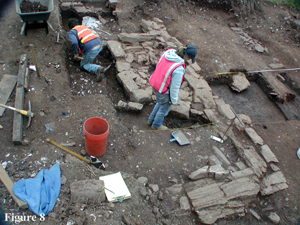 Prior to commencing the Scudder Falls Bridge Improvement project over the Delaware River in Ewing Township, Mercer County, the Delaware River Joint Toll Bridge Commission conducted Phase I, II, and III archaeological investigations to ascertain if important archaeological sites were present prior to construction. The archaeological surveys identified the multicomponent Pre-Contact period Reeders Creek West Site (28-Me-360) on a high Delaware River floodplain terrace that was determined eligible for inclusion on the National Register of Historic Places. Due to the project’s adverse effect on the site, the environmental division of AECOM of Trenton, New Jersey, a global engineering firm, conducted Phase III archaeological data recovery on the site between October of 2010 and February of 2011 as mitigation. The project recovered 15,898 Native American artifacts and 19 features spanning the period of time between 3150 B.C. and A.D. 1430. The results of this archaeological investigation greatly contribute to our understanding of how native peoples lived in the Middle Delaware River valley before European colonization. 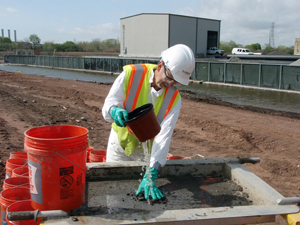 Experimental archaeological recovery techniques were employed during the construction of a remediation slurry wall around the perimeter of the Standard Chlorine Chemical Co. project site. Scholars have known for many years that pre-Contact archaeological sites likely existed in deeply buried soils within the Hackensack Meadowlands, although they have remained largely unstudied because of their lack of easy accessibility. Environmental studies conducted for this project identified soils at 9 to 17 feet below the ground surface within the slurry wall alignment that had the potential to contain pre-Contact archaeological deposits. 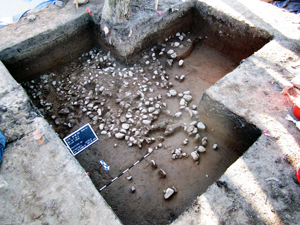 An experimental archaeological sampling technique was employed during construction of the slurry wall that identified the Pre-Contact period SCCC Site (28-Hd-44) containing evidence of tool production representing Native American exploitation of local lithic material along the banks of the Hackensack River during the Woodland period. This work has produced a methodology for recovering significant information on deeply buried archaeological sites for both future deep excavation projects in both the Hackensack Meadowlands and other similar deeply buried landforms. The Cultural Resources Inventory Application (CRI app) project incorporates traditional survey methods and the creation of an intuitive, dynamic and customizable web-based application to house the survey data and display of the exact location of a historic entity in space and time. The process of melding time-honored, traditional survey methods and incorporating new technologies was an arduous process and exceedingly rewarding. 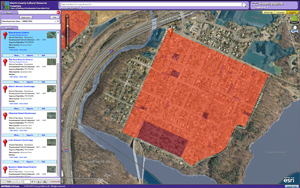 Combining research, electronic mapping, and a web-based application capable of housing the wide range of historic elements found in Morris County resulted in an application so successful, that Morris County has changed existing web applications to the CRI app format. Creating this application has benefitted many areas of Morris County for co-workers, residents, and historical entities alike. The historic landscape in Morris County, as everywhere in the world, change frequently, and in a printed survey, decades will pass before the information is added or corrected in a new, printed document. The CRI app allows for continuous status changes – instant updating of historic sites that have been demolished or re-located, creating a “chain of evidence” providing exact facts as to where it was re-located, when it was demolished, when it was locally designated, and much more information pertinent to the resources.